Azoreductases reductively cleave azo linkages by using NAD(P)H as an electron donor. The enzymes are widely found in bacteria and act on numerous azo dyes, which allow various unique applications. 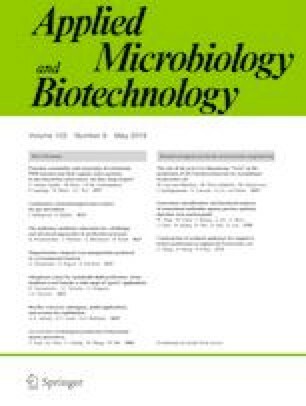 This review describes primary amino acid sequences, structures, substrates, physiological roles, and biotechnological applications of bacterial azoreductases to discuss their remarkable diversification. According to primary sequences, azoreductases were classified phylogenetically into four main clades. Most members of clades I–III are flavoproteins, whereas clade IV members include flavin-free azoreductases. Clades I and II prefer NADPH and NADH, respectively, as electron donors, whereas other members generally use both. Several enzymes formed no clades; moreover, some bacteria produce azoreductases with longer primary structures than those hitherto identified, which implies further diversification of bacterial azoreductases. The crystal structures commonly reveal the Rossmann folds; however, ternary structures are moderately varied with different quaternary conformation. Although physiological roles are obscure, several azoreductases have been shown to act on metabolites such as flavins, quinones, and metal ions more efficiently than on azo dyes. Considering that many homologs exclusively act on these metabolites, it is possible that azoreductases are actually side activities of versatile reductases that act on various substrates with different specificities. In parallel, this idea raises the possibility that homologous enzymes, even if these are already defined as other types of reductases, widely harbor azoreductase activities. Although azoreductases for which their genes have been identified are not abundant, it may be simple to identify azoreductases of biotechnological importance that have novel substrate specificities. This article does not contain any studies with human participants or animals conducted by the author.